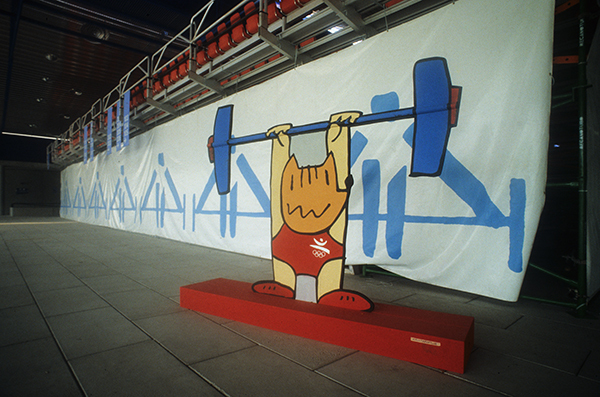 Cobi, the Barcelona’92 mascot, was chosen in January 1988 by the Executive Committee of COOB’92 (Organising Committee for the Barcelona Olympic Games). The Barcelona-based Valencian designer Javier Mariscal drew a human-looking dog with open arms, using a black outline and a light brown colour for its body. 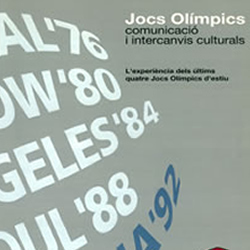 Josep Maria Trias, the designer of the Olympic Games’ logo, used computer imaging software to make Mariscal’s initial figure a little softer, to ensure that it would be easily accepted by the general public. 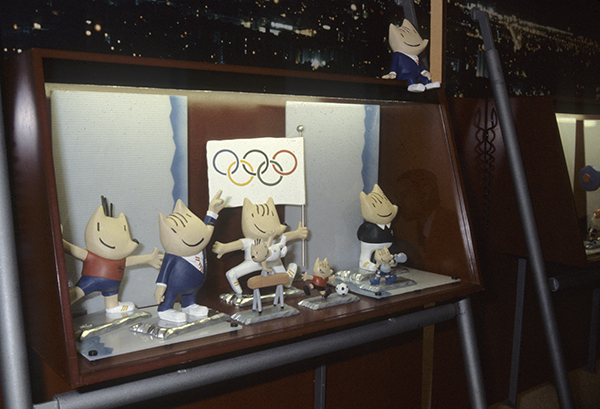 The general public’s acceptance was considered a challenge, bearing in mind that the design of earlier Olympic mascots had taken recourse to styles that bore a greater resemblance to Disney cartoon characters. 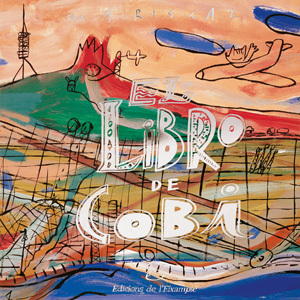 The style that the public became aware of following the launch of Cobi means that Mariscal’s works are still reminiscent of the Barcelona’92 image, the highpoint of design in the city. The name “Cobi” evolved from the COOB’92 acronym. 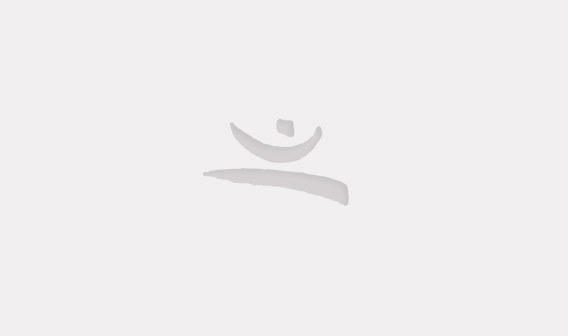 Furthermore, it was easy to pronounce and write in most languages. Cobi was used widely. The mascot was applied to a whole host of accessories (pins, T-shirts, etc.) and signage. It was shown doing all the Olympic sports and a variety of other activities connected with the XXVth Olympiad. 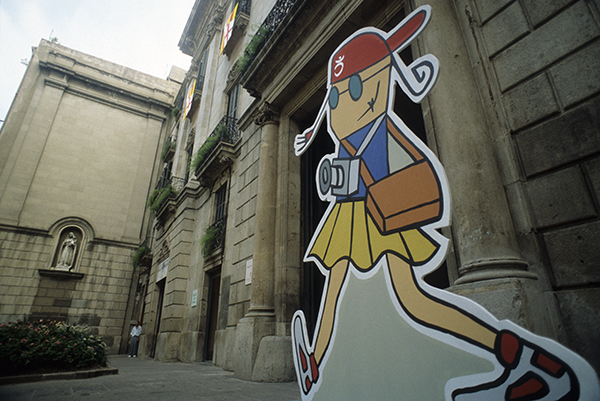 The mascot was so successful that it led to the creation of a cartoon series for television, in which Cobi and Petra were the stars of a succession of adventures that took place in Barcelona. 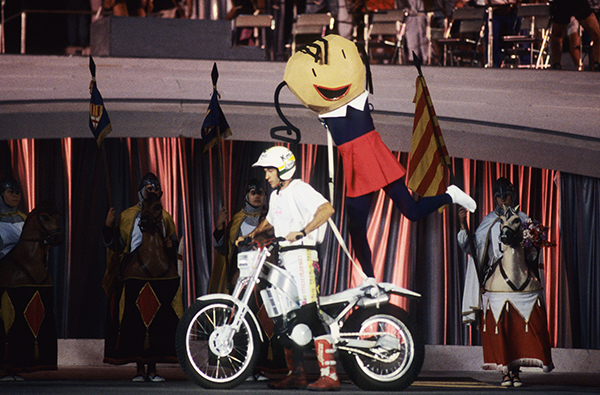 Petra was also designed for Javier Mariscal to ensure a unitary language, and at first she was a candidate to Cobi’s position as mascot of the Games. The designer said he chose a female character because it had to represent a more assertive role. The validity of this mascot comes from the graphical limitations she has, which are clearly perceptible, missing arms, although they are known they can ve overcome. Petra conveys sympathy and joy and with her personality she symbolizes the goodwill, effort and camaraderie that characterized the Paralympic Games. With her proportions promoting awareness, she is a mascot that perfectly fulfills its function and also is a very impressive aesthetic solution. Originally it was to be called Cobita but eventually was named Nosi, and was also designed by Javier Mariscal with the unifying aesthetic that the other two mascots had. This mascot was not directly aimed at children but to everyone and, although it was not as well-known as the other two mascots, we saw her represented throughout the design of the Cultural Olympiad. The Cobi Troupe was a cartoon series released on the 2nd of January 1992 by TV3 and the other regional television in Spain. It consisted of 26 episodes of 30 minutes each and was produced by BRB with scripts of El Tricicle. There was a clear interest in producing the series in Barcelona with the intention to develop a local animation industry. They spent a budget of 400 to 700 million pesetas (2.4 to 4.2 million euro). All characters in the series were designed by Javier Mariscal, and besides Cobi, Petra and Nosi, also there were Jordi, Olivia, Forçut, the cat Cuca and Dr. Normal. Cobi lived crazy adventures, with a humor for all publics, where he traveled around the world, even to outer space, to invite everyone to the big party that was about to be in Barcelona. COOB’92 (1990): Guía de Cobi animado = Cobi animation guide. Barcelona : COOB’92. Variacions de la Mascota: Jocs de la XXVa Olimpíada Barcelona 1992 = Variaciones de la Mascota = Variations de la mascotte = Mascot variations. [Barcelona : COOB’92], 198-?.